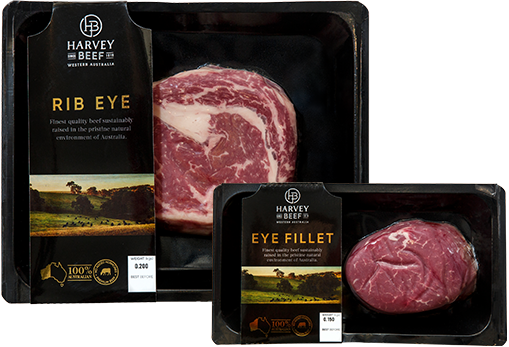 Harvey Beef produces the finest quality beef sustainably raised in the pristine natural environment of Western Australia. Our premium beef is of the highest quality with a delicious flavour, exclusively raised in Western Australia. Trusted producers since 1919 and proudly owned by a sixth generation Western Australia farming family, we work with a specially selected group of local cattle farmers who share our commitment to outstanding quality, exceptional taste and sustainability from paddock to plate. Our Premium and Creations ranges exclusively showcase the highest quality beef raised in Western Australia.